It’s a bird, it’s a plane, it’s the California International Airshow in Salinas! Watch jaw-dropping aeronautical acrobatics from the USAF Thunderbirds, parachuting from the Liberty Jump Team, stunts from Metal Mulisha and more! There will also be military demos, military fly-bys and military/civilian aircraft displays. Gates open at 9am and show begins at 11am. Saturday and Sunday. 30 Mortensen Avenue, Salinas. $20 in advance. Practice your best pirate impersonation and climb aboard the Tall Ship San Salvador this weekend. Don&apos;t miss the rare opportunity to visit this historic vessel while it&apos;s docked at Old Fisherman&apos;s Wharf for family fun tours. Friday-Sunday from 10am-6pm. Old Fisherman&apos;s Wharf. $7 for adults and $5 for children. 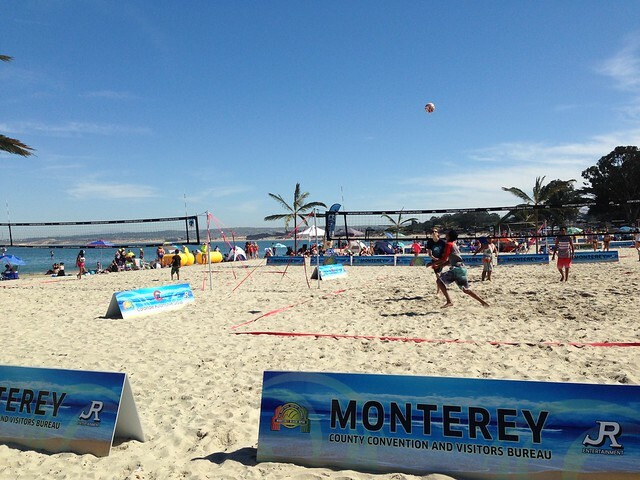 Soak up the sun at the Monterey Beach SportsFest this weekend! This two-day festival celebrates the ocean and hosts competitive events like beach volleyball, ocean water polo, open-water swims, splash and dash, and the "Ikaika" challenge. Saturday and Sunday. Del Monte Beach, Monterey. Free admission. 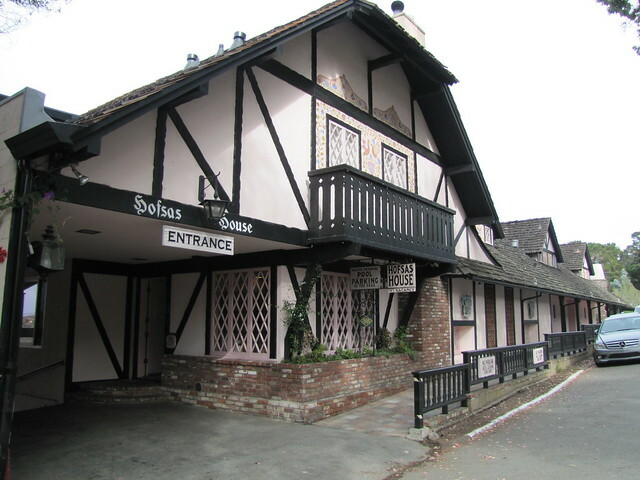 The Hofsas House in charming Carmel-by-the-Sea opens its doors this afternoon for a taste of Carmel Valley. 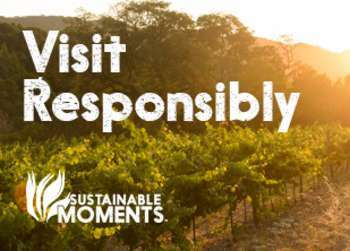 Sip on Holman Ranch wines, enjoy light bites and help support the Peace of Mind Dog Rescue. 5:30pm-7:30pm. 4th and San Carlos, Carmel-by-the-Sea. $15. Unwind after the busy work week with a glass of wine, live music and an incredible views during “Sunset on the Deck” at Asilomar Conference Grounds in Pacific Grove. Tonight’s featured artist is Fred McCarty. 6:30pm. 800 Asilomar Avenue, Pacific Grove. Free admission. In need of a laugh? Head to the Golden State Theatre for a stand-up comedy show from Parks and Recreation characters Nick Offerman and Megan Mullally. 8pm. 417 Alvarado Street, Monterey. $53-$86. Find your hidden treasure at the Camp Vintage Antique Show today at Earthbound Farm in Carmel Valley. Shop from more than 20 antique dealers showcasing the best in rustic relics, lovely linens, jewelry and more. 8am-5pm. 7250 Carmel Valley Rd, Carmel. Free admission. The Elkhorn Slough Reserve opens its doors today for their Annual Open House & Native Plant Fair. Fun for the entire family, this event features walks and talks with land stewards and researchers (including wildlife walks, native plant gardening, sea otter research), kids arts and crafts, plein-air art for kids, hands-on demonstrations and more. 9am-4pm. 1700 Elkhorn Road, Watsonville. Free admission. 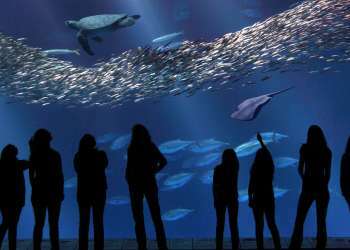 Learn about Monterey’s favorite mascot at the Pacific Grove Museum of Natural History. Today’s Science Saturday features sea otters where curious kids can examine real otter fur, make a craft to take home, and more! 10am-3pm. 165 Forest Avenue, Pacific Grove. Free admission. Kick off your weekend on the right foot with a free walking tour at Asilomar State Beach. The one mile hike will trek through the Natural Dunes Preserve and finish on the Asilomar State Beach Coast Trail. 1:30pm-3pm. 800 Asilomar Ave, Pacific Grove. Free admission. Fleetwood Mac lovers are going to love tonight’s performance at the Golden State Theatre. Mick Fleetwood, the iconic co-founder of Fleetwood Mac, showcases his blues heritage and his new band, The Mick Fleetwood Blues Band at this historic venue. 8pm. 417 Alvarado Street, Monterey. $44-$97. Celtic Trio “Mac” stops by the St. Mary&apos;s by-the-Sea Episcopal Church for an afternoon full of traditional Celtic tunes. 3pm-5pm. 146 12th St, Pacific Grove. $20.